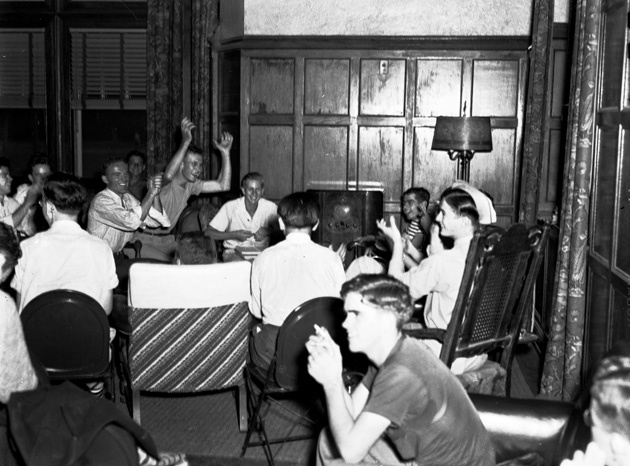 Group of students socializing in Bryan Lounge in the Florida Union at the Unversity of Florida. The Union became the Arts and Sciences Building in 1967 and was renamed Dauer Hall in 1975 for Dr. Manning Dauer. Photograph 2733 from the University Archives Photograph Collection.